Another point further from Man City but by the time this game comes around, the gap could be two points (assuming City don't screw up again!). Let's keep marching and put on a better display than the last time. Fabinho on from the start pls . . I wonder if Keita will be played into form? He showed some good signs but Fabinho is another level right now! It’s a shame there’s no pressure off the Bench for the front three imo. Both Dan & Div hardly fill you with confidence when it’s not happening for any of the front three like last night. Keita was so bad last night. He either isn't very good at finding space, or he's hiding, as he just didn't get on the ball enough. Ironically he started to show a few signs of improvement just before he was subbed off. I'd have Felipe Anderson, he looks a really good player. That said, I'd probably have Ryan Babel back too, he looks pretty useful for Fulham! What is the situation with the players who have been out recently is anyone likely to be back? Leicester felt like a very cobbled together side. Hopefully at least one of the right side of our defence is back. But if our matches are officiated like last night and at City then it’s going to be a struggle to get any points regardless of who we field. Milner back also and a good option for these games, even from the bench. Matip played well, better than VvD. And if we get TAA back then we're rolling. The lads will get back into the fast lane after their nice little jaunt. 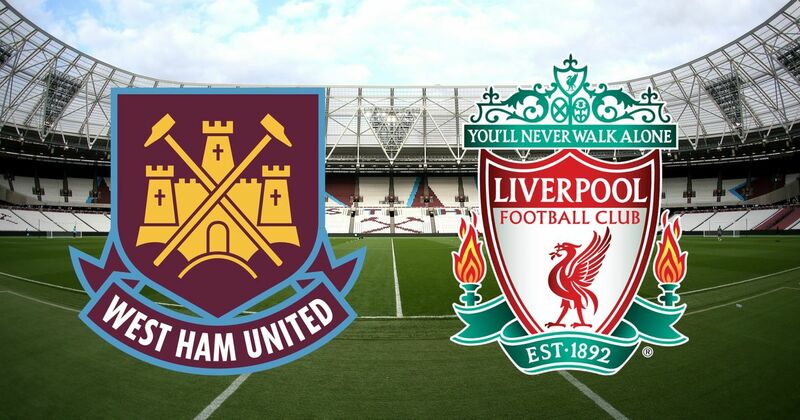 Just hope we can put West Ham away before half time. I thought Matip was poor vs Leicester, I like that he tried to go forward though.. he's just too passive and had some very shaky moments, prefer him to Lovren though and he will improve with games as nowhere near fully fit... keeping him fit is the problem. Milly back is great for options, Trent back is a big one.... any news on him making this one? We need a settled defence again, all the chopping and changing has 100% knocked off the balance. Even Robbo has had a few off games lately.Still raging about letting Clyne go. We need to put these to the sword, they are a bang average side but I suppose so are Leicester. Ughhhh, more squeaky bum time watching this i suspect. Don't think i've ever been so stressed watching footie before. Matip hesitated before realising that Maguire was running onto the ball. Not sure if it looks worse in slow motion but it didn't look good. It was clearly Van Dijks man though, he let him go. It’s unfair to blame Matip for not getting there. Like I said, it looked worse in slow motion. People need to cut the team some slack, they have a record number of points, have just come through a manic Christmas fixture list not only still in the hunt, but have overtaken the best team in the Universe tm by the tune of 5 points, whilst dealing with an actual injury crisis ... our entire back line practically injured, now our mid field picking up knocks etc and we have not only maintained pace but stretched our lead. Agree, we can't fault the team really. I think we might take one or two games now to find out rhythm back. Throw Keita on for some minutes but don't start him. Fabinho is starting to feel like a core player. We're just nervous as we have the best chance at winning the league with a genuinely brilliant team for the first time in a decade. 100% this. We’ve got to keep our nerve & keep playing like we have all season. Unleash the dogs. The Austrian suffered a foot injury against Wolves in midweek but it appears he has just suffered bruising and may yet be fit. "We are not sure about Marko," said Pellegrini in his news conference. "We need to see the development and the pain in his foot. We have 72 hours more to see if he will be able to play. "It's more a question for the doctor. We will see on Saturday and if he can kick the ball." After three defeats in a row, next up for the Hammers is the visit of Premier League leaders Liverpool and Pellegrini knows his side will have to be in top form. "Of course we can beat Liverpool because every team can win every match in the Premier League," he says. "We want to beat Liverpool. We cannot play on nerves because they have top players who can change the game at any time. "We need to play at high pace like we did at home to Arsenal and Manchester United and other clubs." And Klopp was also asked about his thoughts on the matter. “I never celebrate that another team dropped points or lost a game," said the German. "For me, that's not allowed. I never asked to clear one side of the pitch and not the other. That's not how I understand sport." Injury news from Jurgen Klopp who is hopeful defender Trent Alexander-Arnold will return to full training next week. He has missed Liverpool’s last two outings against Crystal Palace and Leicester City after sustaining a knee injury at Brighton & Hove Albion on 12 January. However, Joe Gomez is still not yet ready to return to full training as he continues his recovery from a lower leg fracture. Next up, Liverpool manager Jurgen Klopp, who has addressed the issues around the condition of the Anfield pitch in Wednesday's snowy 1-1 draw against Leicester. "Our groundstaff tried to clear up the pitch but they didn't have enough manpower and soon realised how difficult a task it was," he explained. "In England people are not used to these conditions. In Germany you give shovels to everyone, including the crowd, to help clear the pitch." Gomez won't even be back for Munich, so we'll be without him and Van Dijk for the first leg. Seems kinda irresponsible to go into it with just Lovren and Matip, but what do I know. Lovren is out as well and with a recurrence of a hamstring. Most people will be happy. Should have brought someone in as cover. Even Gary Cahill would have done. Fabinho as makeshift centre back is ok. Letting clyne go on loan is biting us on the arse and may well be the missing piece if the jigsaw that ends up costing us the premiership title. Unless we lose a couple of games. Pretty stupid attitude by him. I used to think he was okay and all!!! He should want to beat Liverpool with West Ham to help West Ham.......and West Ham only. It's called professionalism. Absolutely nothing wrong with what he's said. Yeah, agreed. It's far too easy to be outraged these days.